At first glance, neuroscience and business may seem like sides of two completely different coins — and traditionally, it’s true that these two fields have been in distinct orbits of academic interest. Over time, researchers have started paying more and more attention to the crucial role the human brain plays in consumer choice and management strategy. In 2016, the Wharton Neuroscience Initiative (WiN) made it its mission to spearhead the unexplored: the intersection of neuroscience and business. One Wharton graduate student is at the forefront of this mission. Arthur Lee, Gr’19, GrW’19, is pursuing a joint PhD program in Marketing & Psychology, as well as a dual master’s degree in statistics. 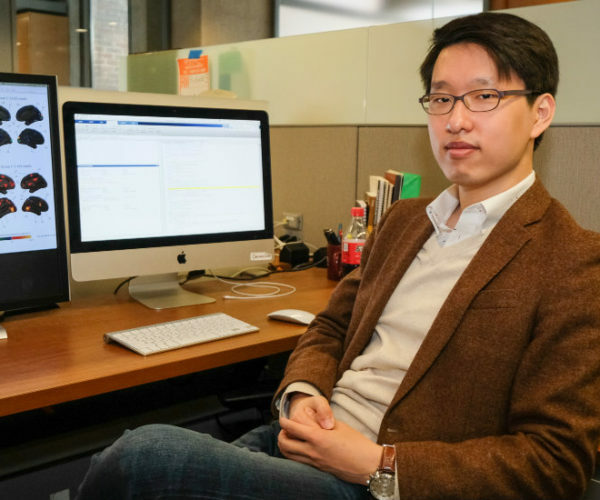 In his current project, “Neural Currency,” he’s working on building a brain decoder to detect and predict people’s decisions in traditional business measures. The Wharton Neuroscience Initiative center collaborates with various academic departments throughout Wharton and Penn to provide a borderless, neuroscience-informed course curriculum. Additionally, WiN has organized speaker events on the applications of neuroscience, from consumer choice to privacy. During an all-day event in February 2018, the Wharton Neuroscience Initiative Annual Conference hosted discussions on ethical, legal, and societal implications of pushing such intersectional research. In April, guest speaker Prof. John Clithero, assistant professor of Economics from Pomona College, presented on his area of expertise: behavioral economics and neuroeconomics, and possible applications in consumer choice. WiN has gained international attention for its work in integrating neuroscience into business research. In 2016, Michael Platt, Director of the Wharton Neuroscience Initiative, spoke at the World Economic Forum in Davos, Switzerland, where he discussed the science behind business decisions. For students especially, the initiative provides a rare network. “The initiative seeks to bridge the gap between business and neuroscience by linking interested students to relevant professors and researchers,” Arthur said. Although they didn’t meet through the initiative, Arthur has been working with Prof. Platt as a dissertation committee member, as well as the current marketing department chair, Prof. Eric T. Bradlow. Since Prof. Platt came to Penn in 2015, he has been pushing the boundaries of research focused on unlocking the human brain to understand decision-making processes. Holding appointments in the Marketing Department, Psychology Department, and the Perelman School of Medicine, he works towards developing cutting-edge devices that can better capture brain data, and exploring the potential of improving marketing, management, and human resources for any company. Platt’s work could help businesses figure out the optimal sizes and structures of teams or make better hiring decisions. 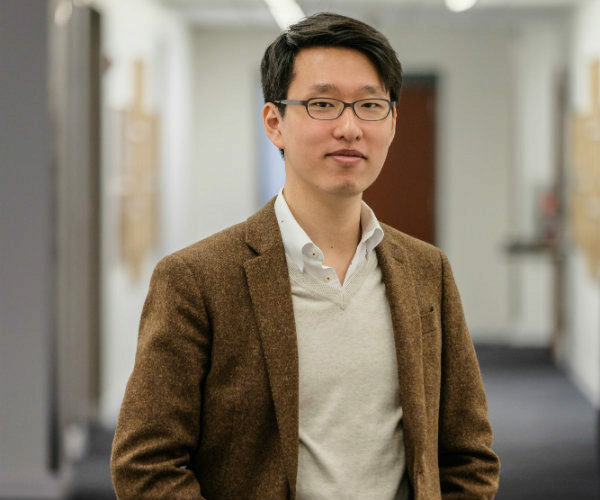 For now, he is gaining converts in the marketing courses he teaches to both undergraduates and MBAs on the horizons of neuroeconomics. Arthur is currently working on ‘Neural Currency’ project which aims to build a task-general ‘utility reader’ that can read people’s preferences regardless of commodities. Arthur is also interested in statistical methodology and have been developing a new statistical method to simultaneously model people’s subjective appraisals of monetary amounts, probabilities, and time. “I’m interested in using brain data and behavioral data and combining the two to make predictions and descriptions,” he said.